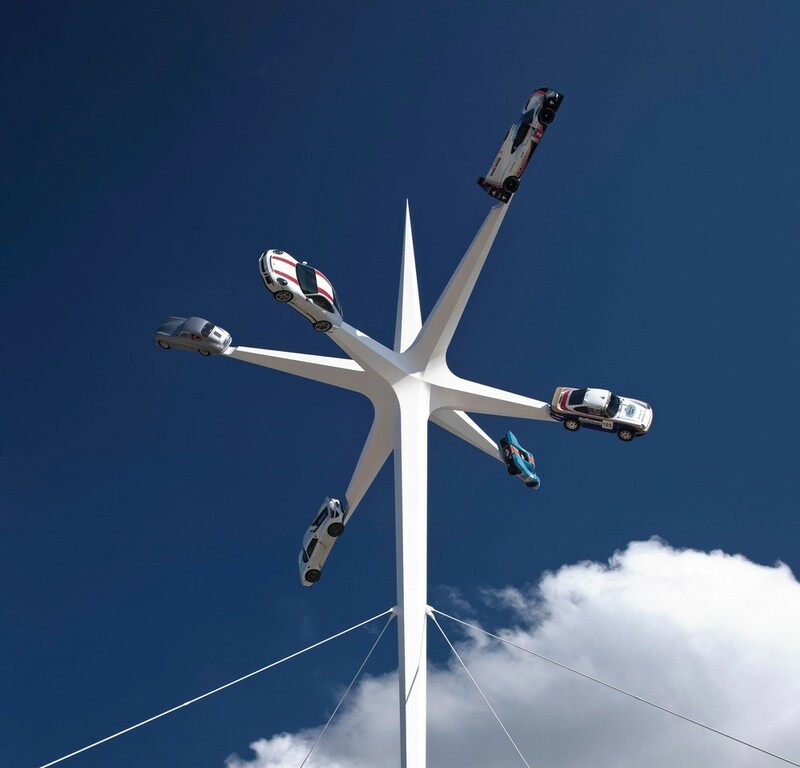 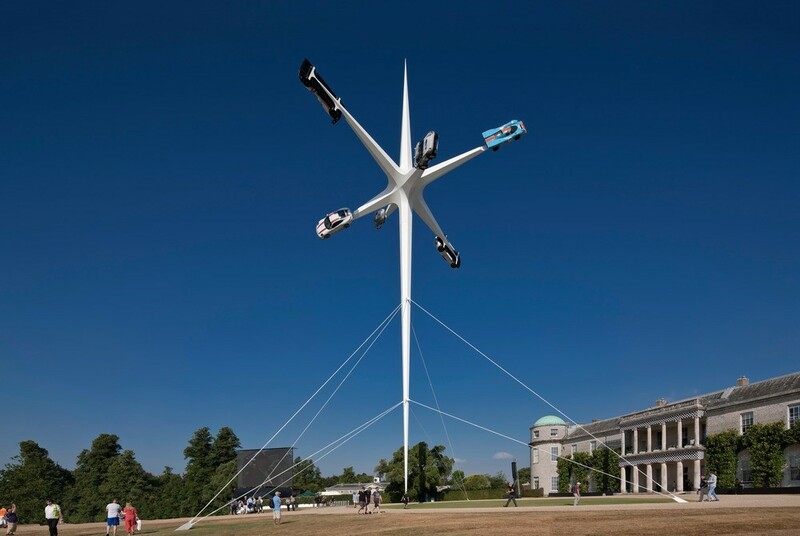 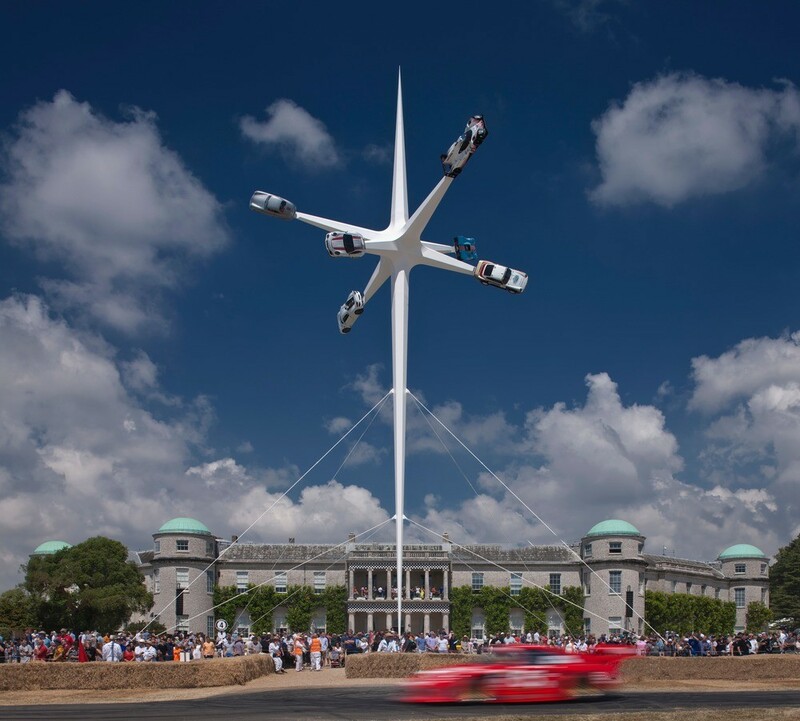 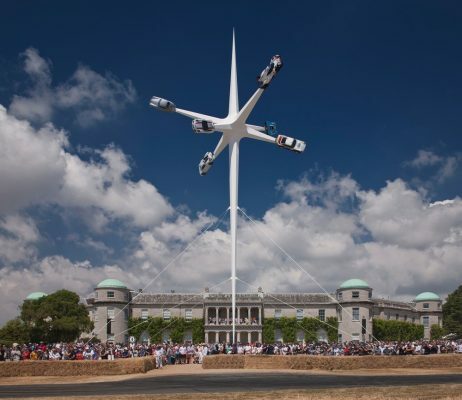 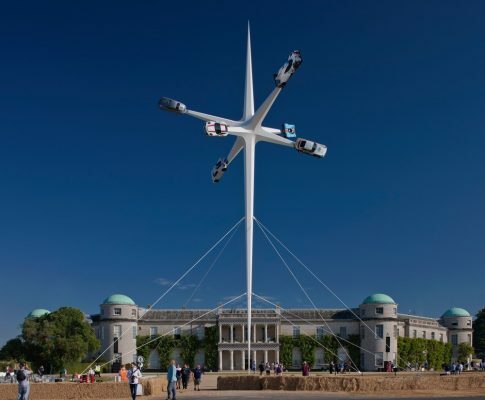 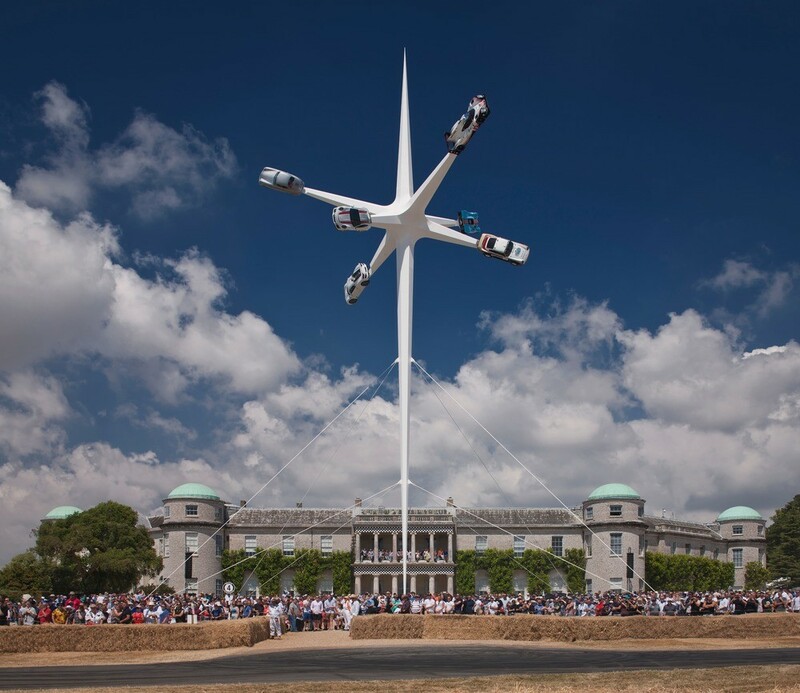 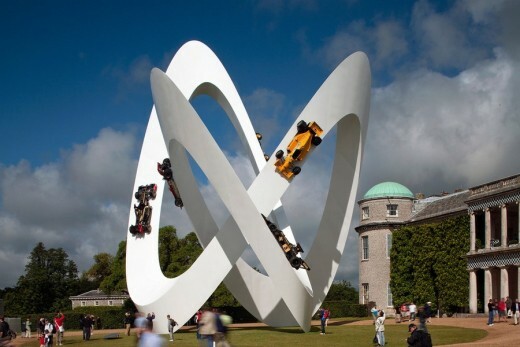 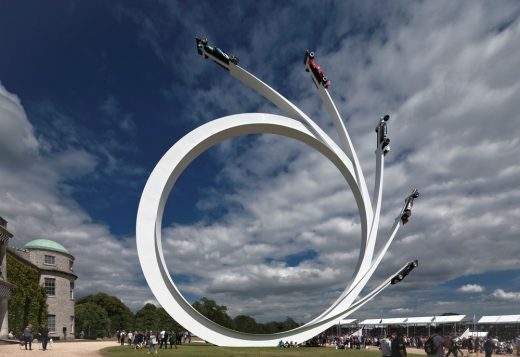 July 2018 marked the 25th annual Festival of Speed at Goodwood House in West Sussex. 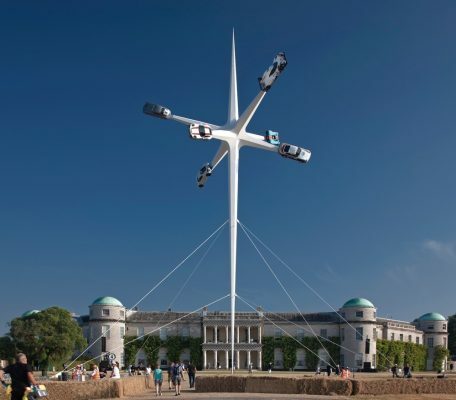 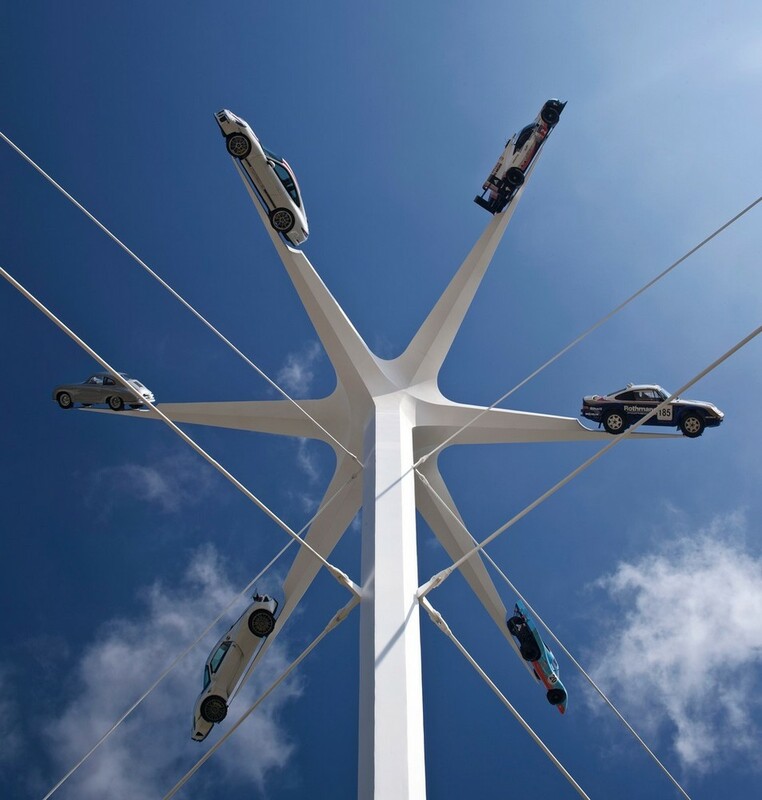 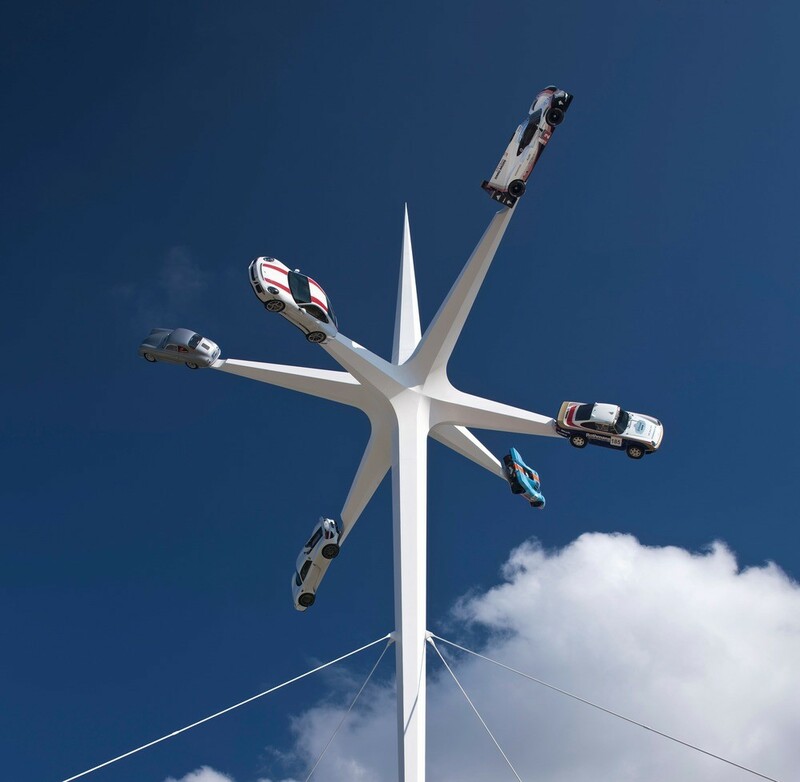 Despite the sheer size—as high as Nelson’s Column—the sculpture as a whole is incredibly lightweight—just 21 tonnes of steel to support 6 tonnes of cars. 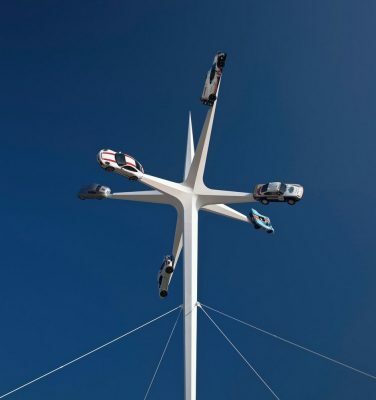 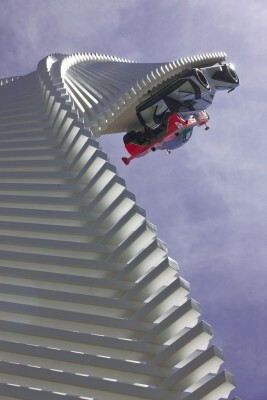 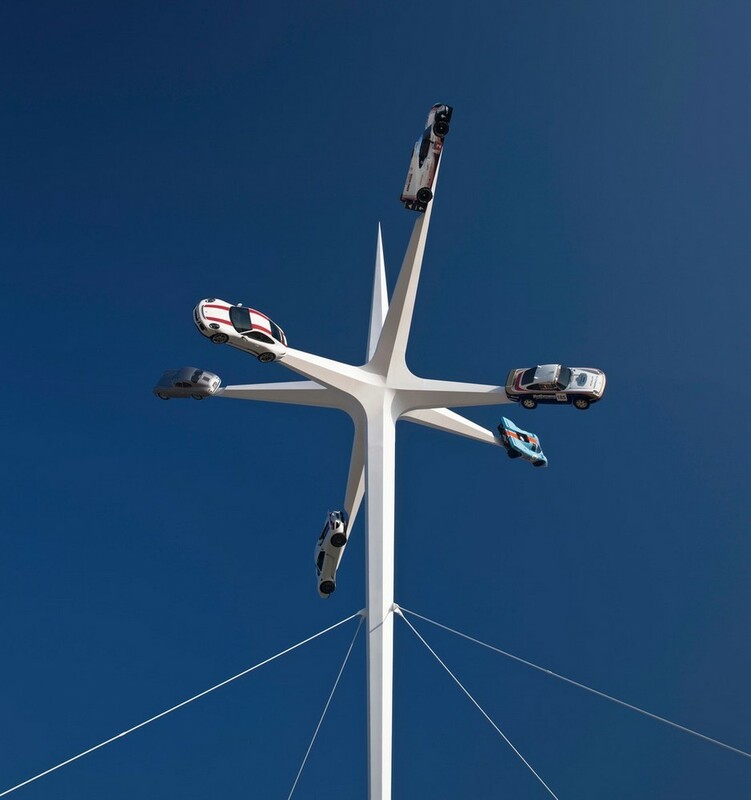 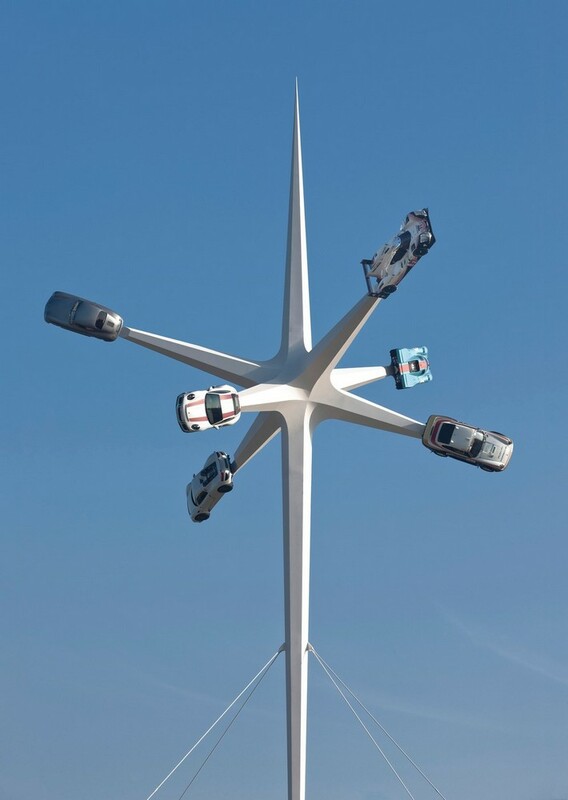 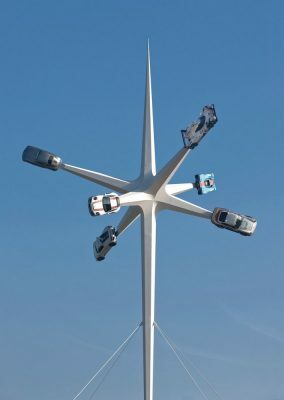 The geometry is based on a regular truncated octahedron, this shape giving positions to display all six cars, with a stem at the bottom and a spire on top. 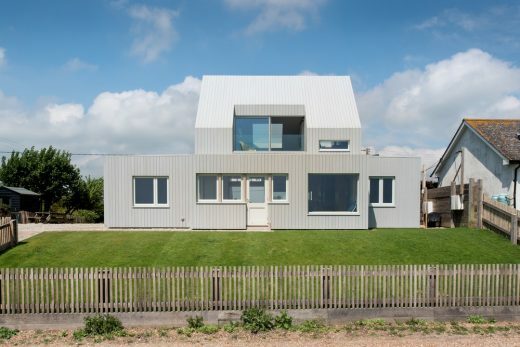 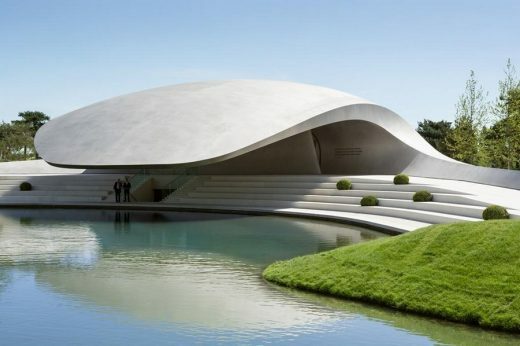 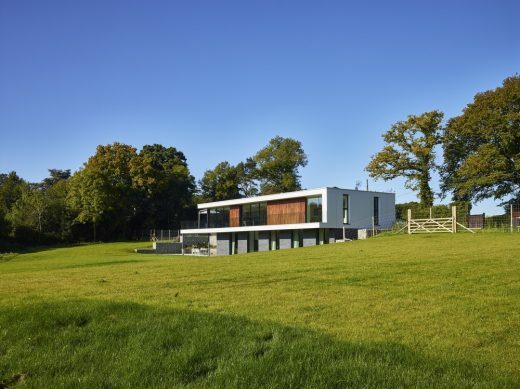 All parts are hexagonal tapered tubes, giving strength and rigidity, and fabricated entirely from laser-cut steel plate.